STUART, Fla. — Schools in Martin County are taking steps to prevent more cases of hepatitis A. 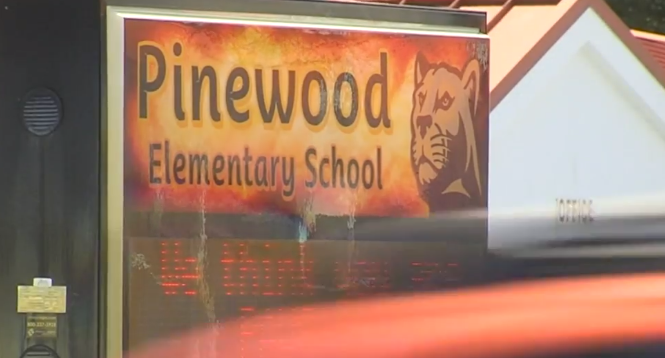 Superintendent Laurie Gaylord said last week a teacher at Pinewood Elementary School went to the hospital, but there is no confirmation that it was because of hepatitis A. “Out of an abundance of caution we have done everything we can to make sure that school has been sanitized. Buses have been sanitized and taking those measures for all schools,” said Gaylord. Parents picking up their kids at school in Martin County know there’s a Hepatitis outbreak within the county. Schools in Martin County are taking steps to prevent more cases of hepatitis A. “Out of an abundance of caution, we have done everything we can to make sure that school has been sanitized. Buses have been sanitized and taking those measures for all schools,” said Gaylord. “My kids are completely vaccinated for this specific reason because we don’t need any more outbreaks,” said Korinne Sellnow, a parent at Pinewood Elementary. The Martin County School District used a chemical solution that kills the hepatitis A virus. The superintendent said all surfaces, frequently touched areas, including the bathrooms and kitchens in all schools, were thoroughly cleaned. Some parents say they’re surprised the district did not inform them about the teacher’s hospitalization. “I think they should keep the parents informed. That’s their job because they want us to be informed about everything else and they even called us last week about the hep A outbreak,” said a parent who only wanted to go by Nicole. Gaylord said the district did not inform parents about the teacher going to the hospital because they did not want to worry parents if there was no confirmation the teacher has hepatits A. “We are unable to confirm anything about any specific employee(s) as it relates to their health. This information is confidential and exempt from disclosure under HIPAA." Gaylord sent a recorded district message to all MCSD families and district staff on April 5, that contained important information from the Martin County Health Department about hepatitis A and illness prevention. This information was also posted to our District website, all school websites and social media. Out of an abundance of caution, the district has been proactive and cleaned all schools, which started last weekend. All custodial staff has been trained on proper procedures for disinfecting schools. Moving forward, we will continue to take direction from the Health Department and will implement all procedures and processes they recommend in an effort to prevent the spread of illness. Parents who have specific questions about hepatitis A and how to prevent the spread of illness should speak with their child’s school nurse and/or pediatrician. District staff is actively involved in the EOC update meetings to remain connected with the most current information. For more information please check our website at www.martinschools.org.